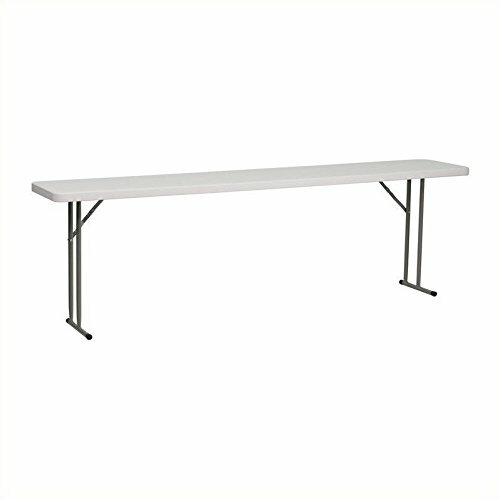 This rectangular folding table is 8 feet long and is beneficial in a multitude of settings that include the classroom, banquet halls and in training rooms. The space saving design can allow multiple tables in a small to large setting making it the perfect training style table for the classroom or any training facility. The durable blow molded top is low maintenance and cleans easily. The table legs fold under the table to make storage more convenient and for better portability.